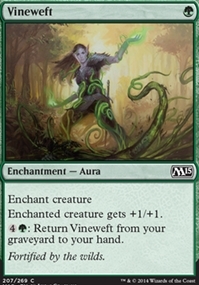 Hushwing Gryff ($0.22) Price History from major stores - M15 - MTGPrice.com Values for Ebay, Amazon and hobby stores! Card Text: Flash (You may cast this spell any time you could cast an instant.) Flying Creatures entering the battlefield don't cause abilities to trigger. 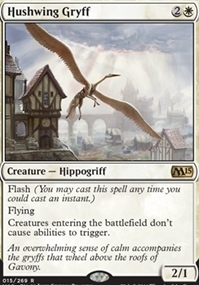 Flavor Text: An overwhelming sense of calm accompanies the gryffs that wheel above the roofs of Gavony.